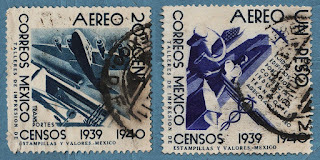 Now we have two series sharing the same design of king D. Carlos I ... it is a beautiful design by Eugene Mouchon.. it is by many considered one of the most accomplished Portuguese stamps of those days...1) these first group of 3 stamps is from the original series... it present us the two 5r shades (orange/1st and Yellow orange/2nd) and the blue 50r.. the stamps have perforation 11.5..
2) After the implementation of the Republic in 1910, a overprint "Republic" was applied to the original stamp, and new stamps were issued in 1911.. here are presented some beautiful items like the 115r Orange brown on Rose.. 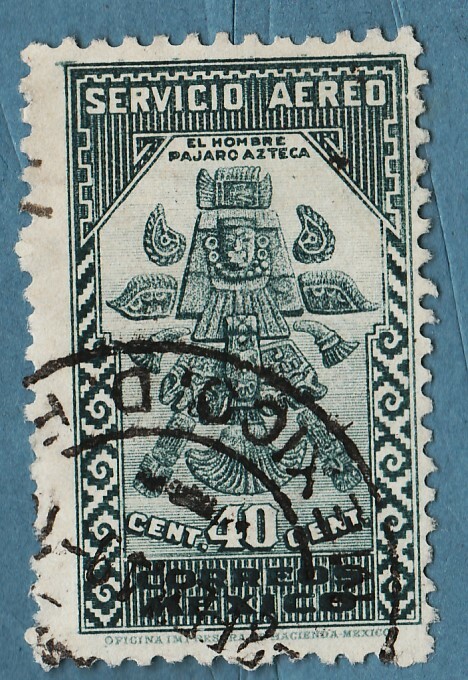 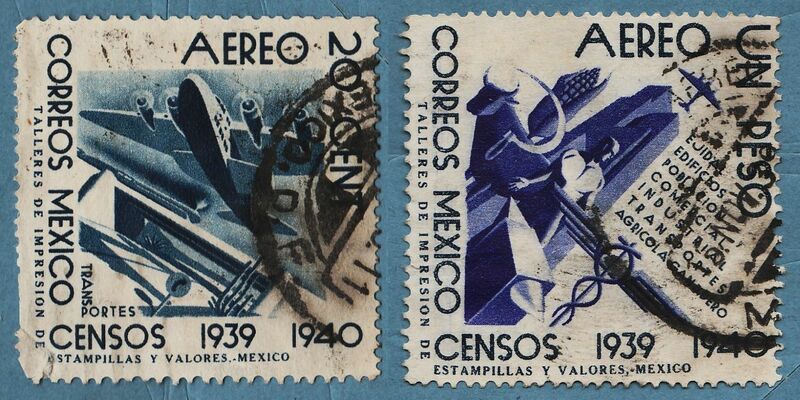 I have already done 2 or 3 posts with Mexico stamps.. the stamps were mainly from the classic period, highly recommendable because of the many interesting features present.. overprints, surcharges, papers, etc.. now i have same stamps the 30's and others from the 70's,80's and 90's.. Let us start by talking about the great Mexican Air Mail series from the 30's.. very beautiful designs sometimes linked to the great past of Mexico (with it's AZTECS heritage..).. the most part of these series are [Recess] printed, what make's me very happy.. unfortunately I don't know yet the names of the designers, but i think that with time everything will 'come out to the light'...! 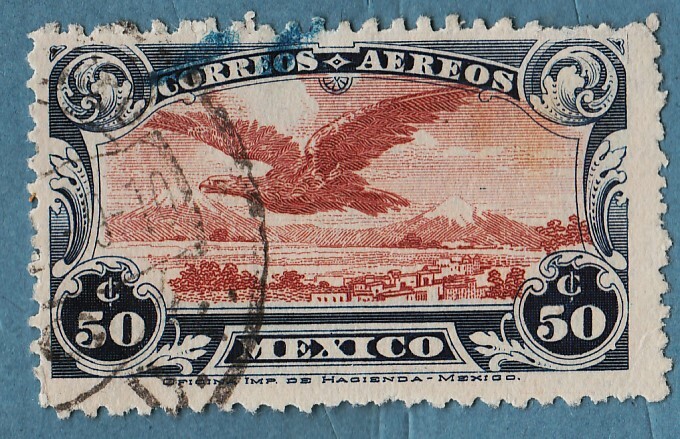 This is another Air Mail series from 1934/1935...it is not so beautiful as others of this same time frame, and the stamps are not in the best of shapes, so they don't look much appealing...it is again a wmk series, with perf 10x10.5 or 10.5x10.. the series represent some Aztec Mythological creatures, temples and Idols..